Seventeen-year-old Bella, an Arizona native, is not looking forward to living with her father in wet, rainy Forks, Washington. Her situation improves, however, when she meets classmate Edward Cullen, a quiet, gorgeous young vampire masquerading as a mortal high school student. His family is a coven of “vegetarian” vampires, those who struggle against the natural urge of seeking humans as prey, choosing to feed on animal blood instead. 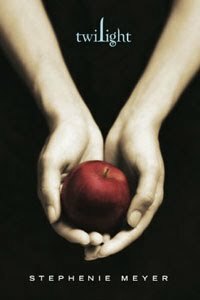 But when a coven of bad vampires blows into town and selects Bella as their next victim, can Edward protect her, despite being tempted himself? Although the book makes a nice emphasis on the importance of love over lust, it is by no means flawless. One of the key problems is characterization. Bella is the epitome of the “Mary Sue” stereotype (despite being plain, clumsy, and otherwise undesirable, she still manages to attract the attention of the hottest guy in the room). The immortal Edward is all that teen girls have come to expect in the vampire paramour of their dreams: gorgeous, brooding, prone to sudden mood-swings, and god-like (though for all his physical perfection, as some may argue, he certainly isn’t very interesting). Although the novel suffers from Meyer’s amateur writing style, the story itself isn’t all that bad. Edward’s dramatic struggle to keep his mortal sweetheart safe from the baddies (and himself) is endearing, though less sentimental readers may find his declarations of eternal love little more than gag-worthy. It’s a sweet, angst-ridden tale that most mainstream females will be able to relate to. Recommended for Ages 15-Up.